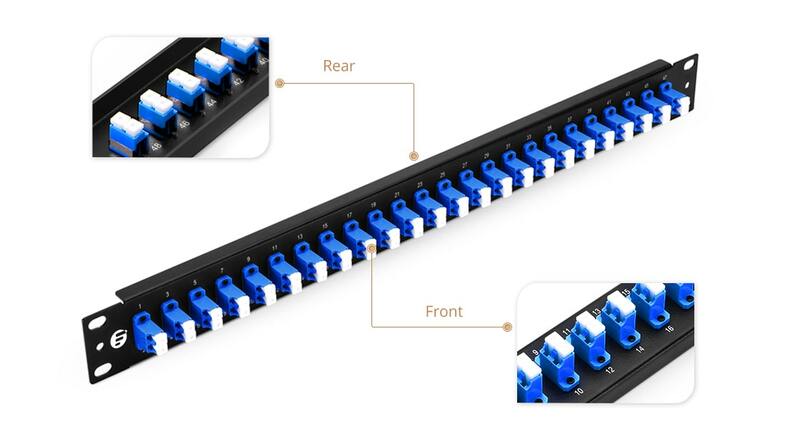 24 Port fiber patch panels are the bridge of fiber patch cables, serving as standard 1U 19” rack, ODF and cabinets, to create a complete system for connectivity. 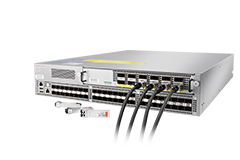 It can be applied in LANs housing, optical communication, FTTD, and data center cabling etc. 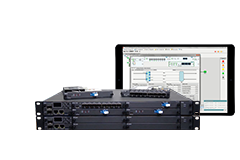 1U 48Fibers LC SMF adapter panel is easy to be installed in the rack, providing high speed networking. 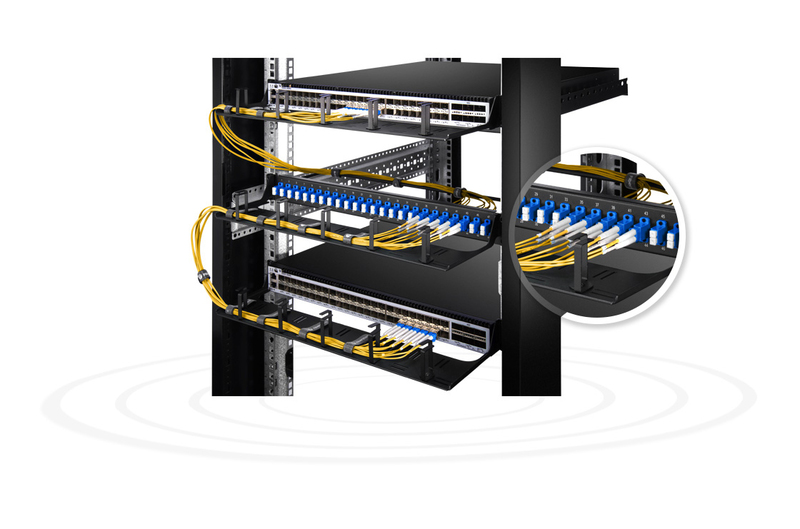 In the meantime, this panel requires integration of fiber patch cables, for better space management. 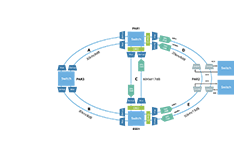 Below diagram shows simple connection. Low cost but still fine for my purpose. Fit right in the rack, keeping my data friends happy. 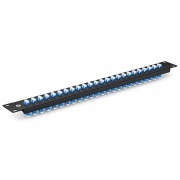 I bought this patch panel to use in my rack, they match well. It's a good quality panel, no problems whatsoever. Excellent customer service. They are outstanding. They made everything so easy. As for the panel, it is very outstanding too. 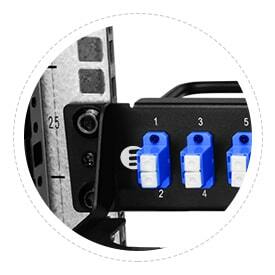 This adapter panel is easy to be installed in my rack and it works very well with each other. 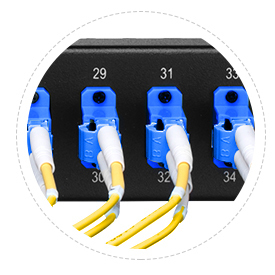 Meanwhile, the common fiber patch cable can be used with it, easy to find the relevant products. 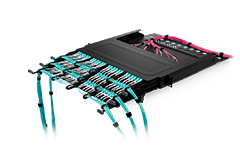 Also, I bought 1U Cable Management Panel, they are good partners. The FS 1U patch panel is highly recommended. I have a few cabinets in my own data center, but I didn't pay attention to the mounting holes when I bought the panels, I can't mount them to my cabinet. 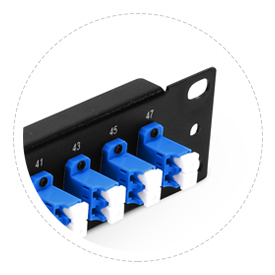 But FS's mounting holes apply to various types of cable management installation. It's so nice. I was surprised how easily the item was to order and it arrived ahead of schedule. Works great and I would order from FS.com again in a heart beat. I had purchased some frame racks from FS.COM and need some supporting LC Panels. My sales lady recommended me this one,which is very flexible and can replace LC duplex adapters to other if I have other applications in the future . It's really good. 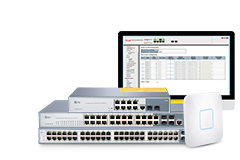 After I received these LC panels, my team told me that they also need SC Panels in urgence, then I told them we had a lot of spare SC adapters and replaced LC adapter, which can save much time. Really good! 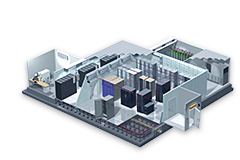 I have been looking for an adapter panel that can meet high-density port management and can effectively save the wiring space. After reading many websites, the size is mostly inconsistent. Later, a friend of mine and I recommend it to FS.COM. He said that there are , gave me a link; very pleasantly surprised, I really found the product to meet the requirements; really is to help me a great deal! I believe the company will be better and better. Although the patch panel is just a small part in my computer room, but I can see their client-oriented service attitude. I had ever suggested that they show the stocks of different warehouses at the website.Beyond my expect, they really accept my suggestions. 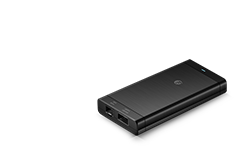 Now once you click a product on their website, you can know the stock quantity in each warehouse, and it is accurate. I believe the company that values customers' experience like this will be better and better. 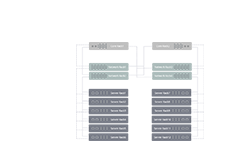 The FHU 1U Adapter Patch Panel can be put directly on the rack, and it is much easier to deploy the patch cables as the patch panel is very tiny and stable.